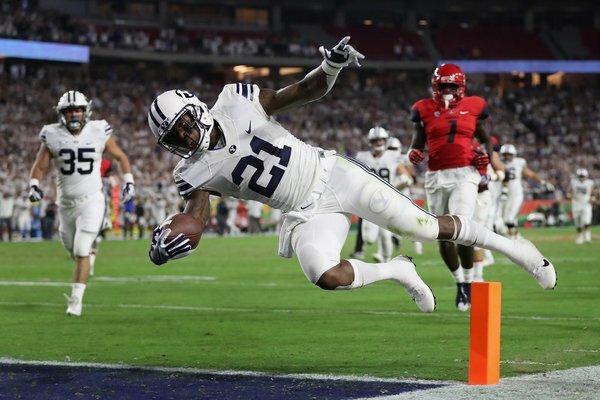 Get a recap of news from Arizona's season opener against BYU. Whew...we're still a Basketball school. Arizona loses its first non-conference game of the RichRod era. FINAL: 18-16. That's your last play? Your miracle play? That? That? Three seconds. Hail Mary for the win. OLDROYD gives the Cougs the lead!! BYU leads 18-16 with 4 seconds left to play!!! BYU takes the lead. 18-16, four seconds. BYU lines up for a 33 yard FG attempt with 0:06 left to play. Arizona calls TO.